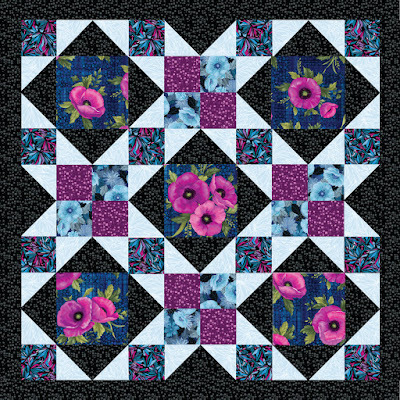 We've had fun sharing Ann Lauer's Midnight Poppies collection with you this week! We hope you'll enjoy Ann's virtual trunk show of the quilts she has designed featuring her new fabrics. 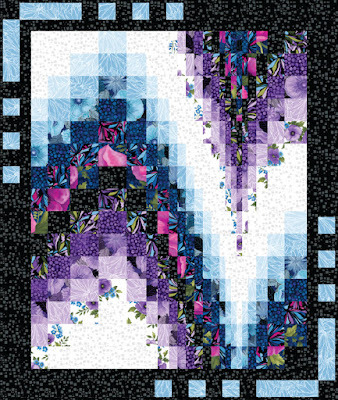 "Love That Print" showcases two large prints in a quick and easy design. 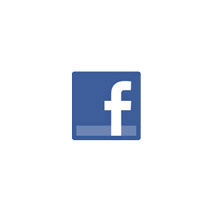 Click here to find the kit. "Midnight Stars" - this one really sparkles! This two-block quilt is easier than it looks and shows off a large focal print as well. "Montana Summer" features on-point blocks. 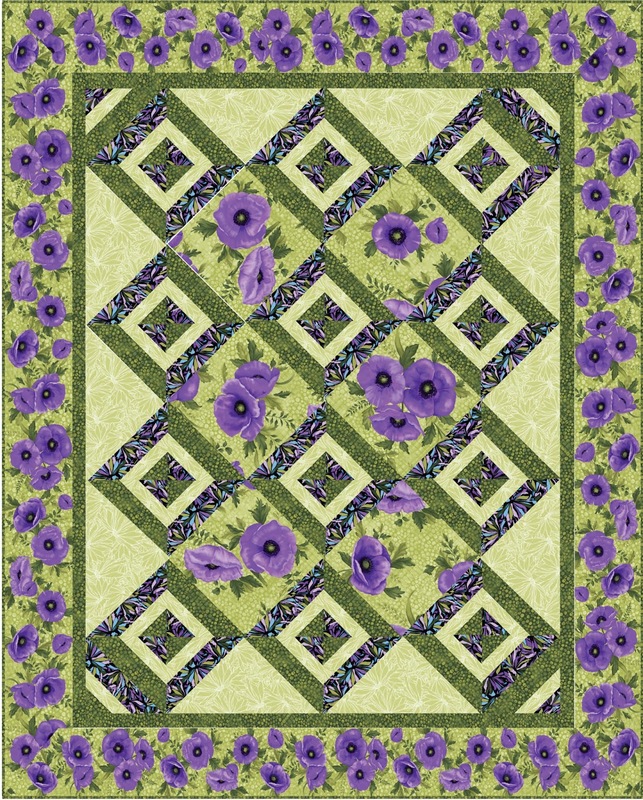 The pieced blocks are made from three-fabric strip sets, and the border showcases the iris border stripe. 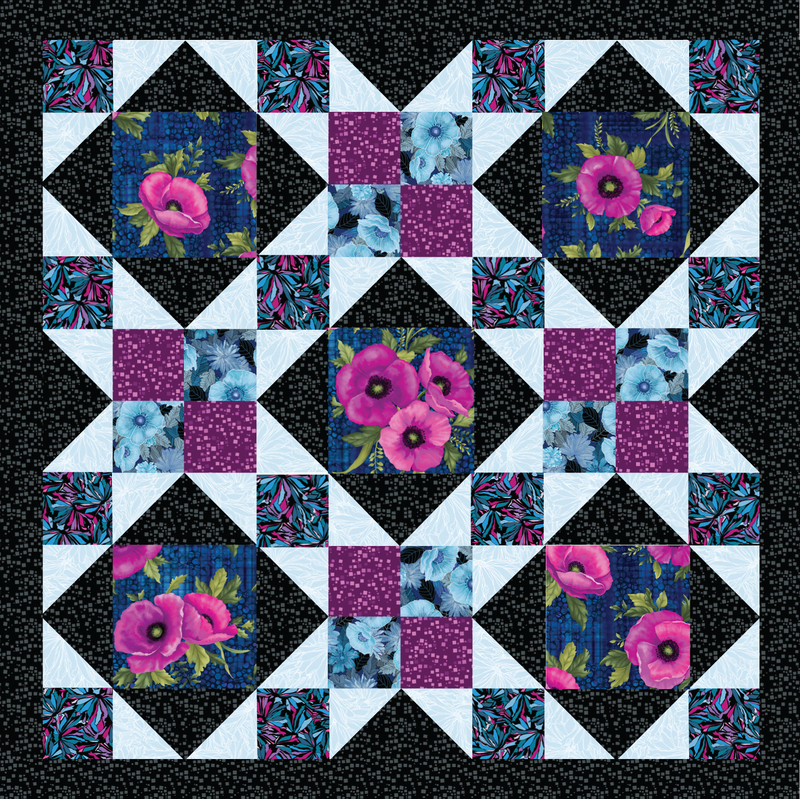 "Afternoon Delight" is made with fast flying geese, four-patches, and large focal print squares. "Free Fall" is one of my most popular designs. 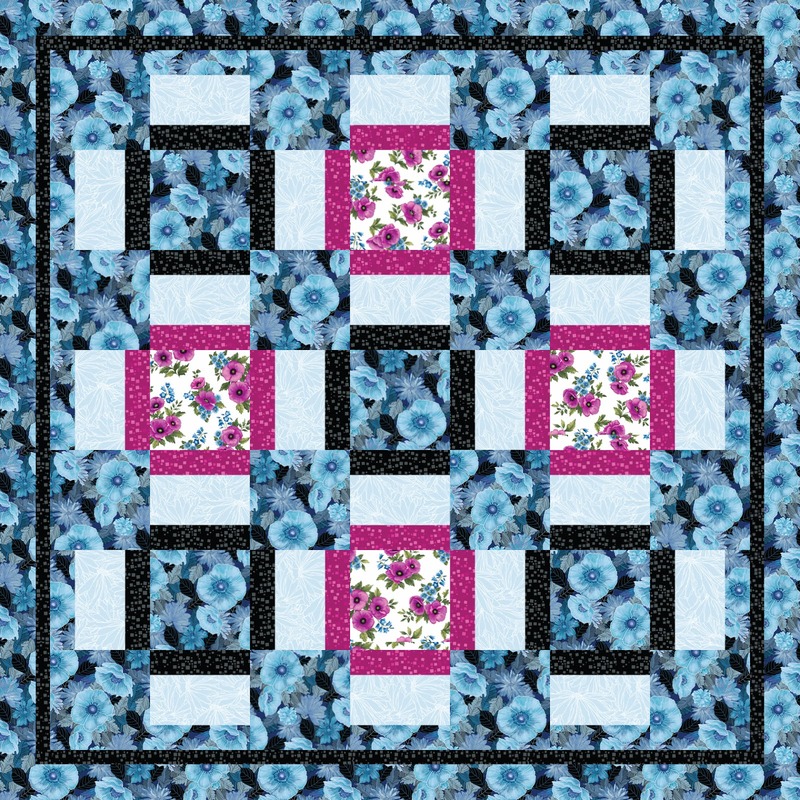 The wall quilt version is assembled using quilt-as-you-go technique, and the colors blend beautifully together! 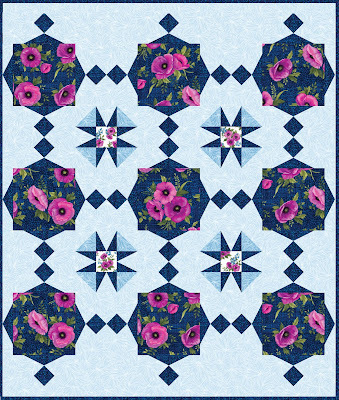 "Poppy Toss" is a free quilt pattern available on Benartex's website. 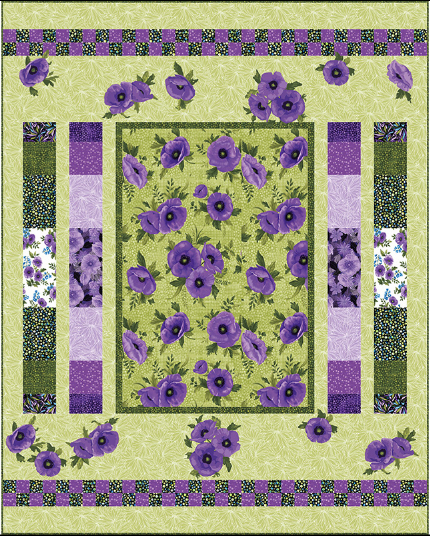 The centerpiece is the large poppy print, surrounded by strips of pieced stripes. 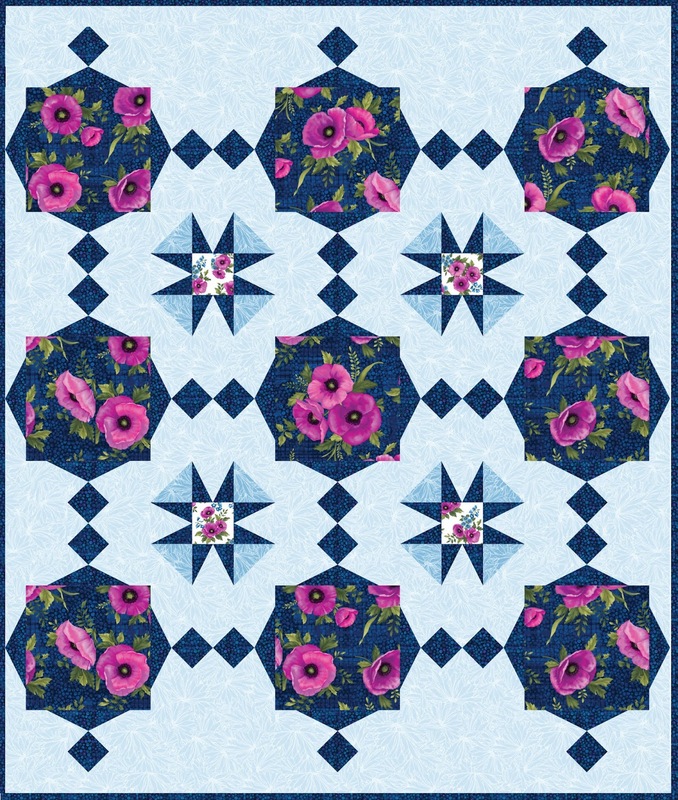 Finish the quilt off with fussy-cut appliqued poppies! Click here to read our interview with Ann about Midnight Poppies. Click here to visit Ann's website and see her additional Midnight Poppies patterns.